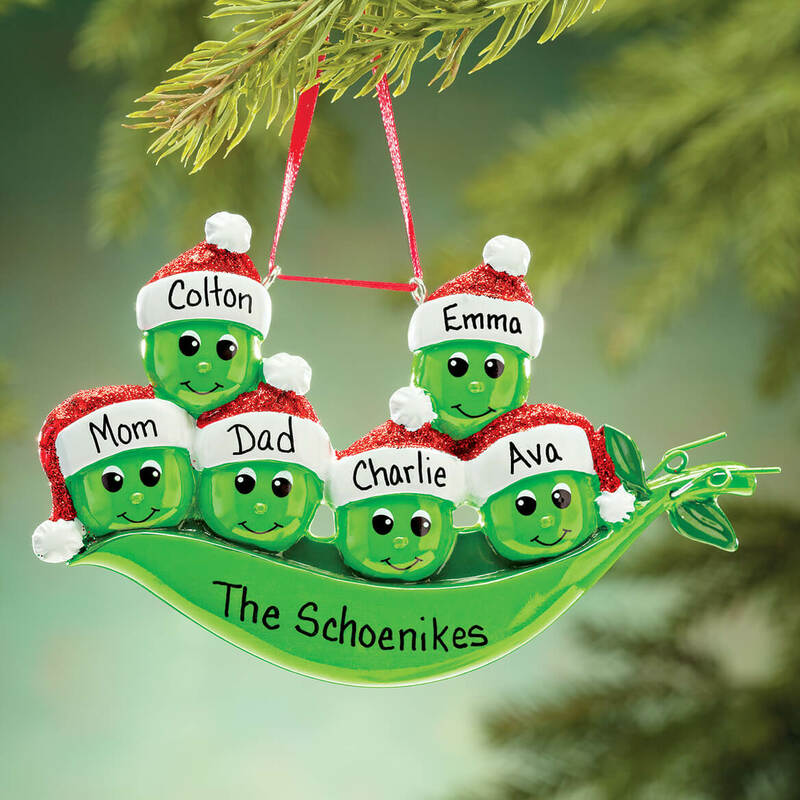 This ornament is very well made. It will last a lifetime! Got it for my grandkids. Also they always get the spelling correct on their items! My daughter has 2 dogs. So it was better with no human faces. 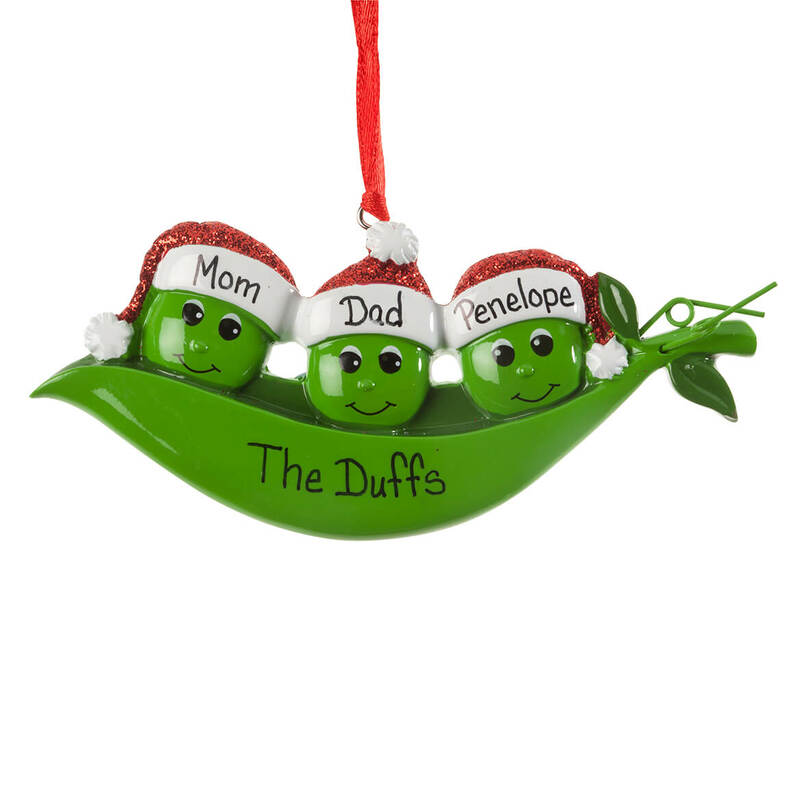 They are like 4 pea's in a pod.. I had one - and my son has just started his own family pea pod. 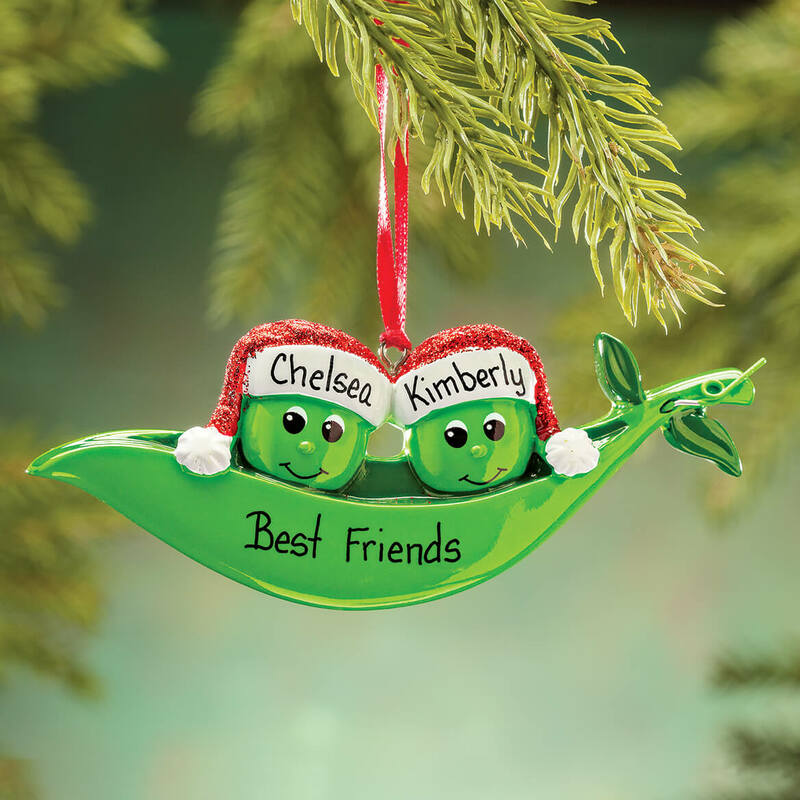 Cutest little peas in a pod! My daughters friends always together, made sense. how do you add names on personalized items? BEST ANSWER: Thank you for your question. You need to select the family size on the select drop down menu. 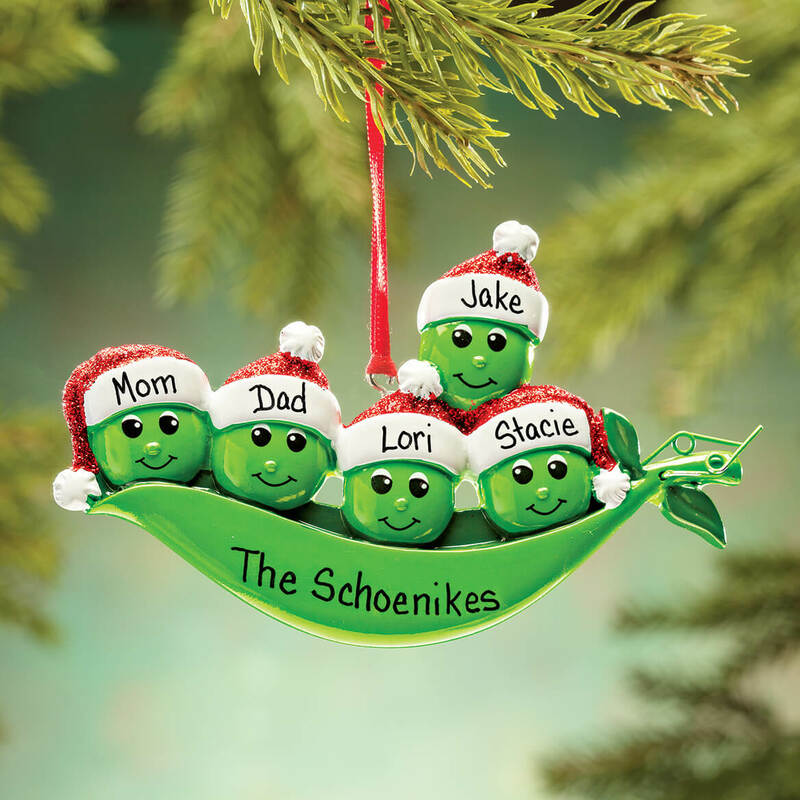 You will be taken to another screen to add your personalization, when completed you can add the ornament to your cart. We hope this information will be of help to you.